How are the IAS officer.Many tips 100% required. Hello friends, today we will tell you how you can become an IAS officer, how much education, what to do etc. First of all, you know what is the IAS? The full form of IAS is Indian Administrative Service. Which is called the Indian Administrative Service in Hindi.
. Who is the IAS officer? The people who work in the administration are called the IAS officers. The way the DM works in the district, the same way IAS works. The post of IAS is very respectable, but it is also very difficult to achieve. Everything can be achieved by right direction, passion and hard work. 1. The person wishing to become an IAS should be India, Nepal or Bhutan. 2. IAS can be made from Science side, Art side, Commerce or any stream, it is necessary for graduation. 3. For general category students the age should be 21-32 years and students of general category can only take IAS exams 6 times. 4. For OBC category students, there should be upto age of 21-35 years and students of this category can take IAS examination 9 times.5. For SC / ST category students, age should be 21-37 years and students of this category can give this examination as often as they wish.6. Physically disqualified student should be 21 to 42 years old and if the student is from General or OBC category, he can give it 9 times and if the students are from the SC / ST category, Can take the exam. 7. If the student is from Jammu and Kashmir Domicile (Jammu and Kashmir domicile). For those in general category, age limit is 37 years for students of OBC category and 40 for SC / ST and 42 years for SC / ST and 50 years for physically desired students.8. For the physically challenged serviceman and non-duty student, the age limit is 37 years in general category, 38 years for OBC category and 40 years for SC / ST students. Preliminary exams contain 2 papers. Both are of 200-200 and both have only four option questions. This examination takes place in July-August. You can not become an IAS officer without clearing this exam. After clearing this exam, there is a second exam, which is called man exam. Nine papers are to be given in this exam and it is very difficult to pass this exam. This exam takes place in December-January. Many students can not clear this exam. If you want to pass this exam with good marks, then you have to pay more attention to studies, then you will be able to clear this exam. Interview is taken after clearing the man exam. The counseling is done after clearing the preliminary examination and the main exam, in which the selected students are interviewed. This interview is 45 minutes. In the interview, very tricky questions are asked and personality is also given attention. 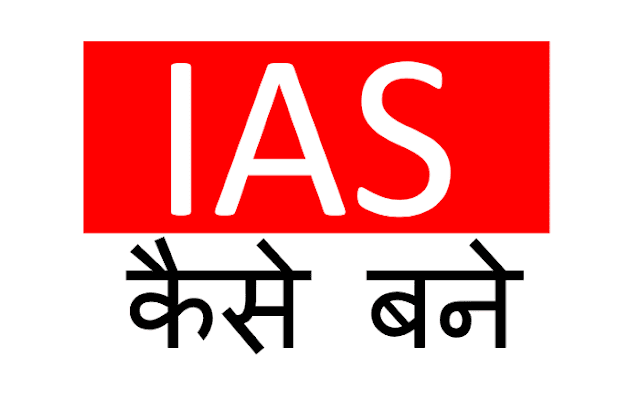 The examination of the IAS is considered to be the hardest in all the examinations of India. To pass it requires excessive effort. For the preparation of IAS, you should read NCERT books from 6 to 12 well. Prepare through letters and magazines. Also note the current affairs. Prepare with UPSC books. If you have a good budget then join coaching. You can also make online preparations. In this zone, you have to spend 3 months with the IPS and IFS officers at Lal Bahadur Shastri National Academy of Administration (LBSNAA) in Mussoorie. Here you are given full information from law to administrative. In this zone, you get a chance to travel around 9-10 states. In this period, you get a chance to meet many ministers, organizations and people. In this zone, after the conviction of Bharat Darshan you come again in LBSNAA. One thing and you can get an opportunity to visit the Parliament House. After coming back, you are given a joining letter by the President, thus you become an IAS officer. The salary of IAS starts from 60,000 to 2.5 lakh and many types of allowances are given. A car is given free of charge for the IAS. Telephone bills and electricity bills are free of IAS officers. If you have to stay in a private area, then the total expenditure is given to the government and many allowances are also given. So friends, how do you know this information, tell in the comment and if you have any questions then you can also ask him in the comment. You can also tell the information on which topic you can also tell in the comment box.